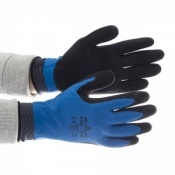 Featuring a nitrile coating on the palm and fingertips, the Showa 265R Assembly Grip Nitrile Palm Coated Gloves are ideal for protecting the hands against oils, hydrocarbons, grease and abrasion. With their anatomical structure and seamless knit, the Showa 265R Assembly Grip Gloves provide excellent dexterity and are comfortable for extended wear. The Showa 265R Gloves have been tested to EN 388, the European Standard that gauges a gloves resistance to a range of physical threats. Please see the table below for a breakdown of the results. 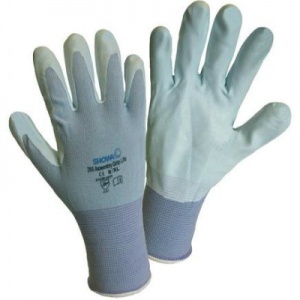 The Showa 265R Assembly Grip Nitrile Palm Coated Gloves are available in four sizes to fit most users. Please refer to the table below for details of the sizing. 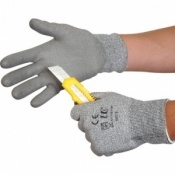 Very good grip and does the job for me for gardening.